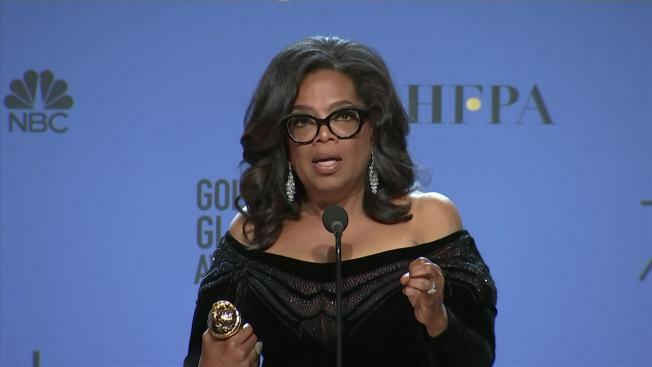 In an interview given before her well-publicized Golden Globes speech, Oprah Winfrey says she's not interested in a presidential bid despite Democrats' continuing buzz about the billionaire media icon. Winfrey tells InStyle magazine in a newly published interview that she hears the encouragement but doesn't "have the DNA" for a White House run. She says she's "very secure and confident" in her life already. The 63-year-old is among the wealthiest businesswomen in the country and is one of the world's most recognizable black women. The interview with InStyle's Laura Brown came several weeks before Winfrey gave a widely hailed speech at the Golden Globes awards. She focused her remarks on racial and gender equality, spawning the #Oprah2020 Twitter hashtag that trended for days.